If you are what you eat, then Adjonyoh’s debut cookbook, Zoe’s Ghana Kitchen, is a kind of edible portrait: a celebratory, intelligent, often chaotic rendering of the person she is, and of her heritage. The daughter of a Ghanaian father and Irish mother, Adjonyoh is a woman anchored in two worlds. Both sides of her family have food at the heart of their culture, and that passion for feeding comes through. “Probably 50% of the book is pretty straight-up traditional dishes,” she says. “The other half is my reinterpretation of some of those things.” She bounces from mashed yam and plantain pancakes to a “Ghana-fied Caesar salad”, weaving the recipes together with smart pr ose, thoughtful ingredient glossaries and, most compellingly, the story of how, at nearly 40 years old, she has rediscovered her roots. 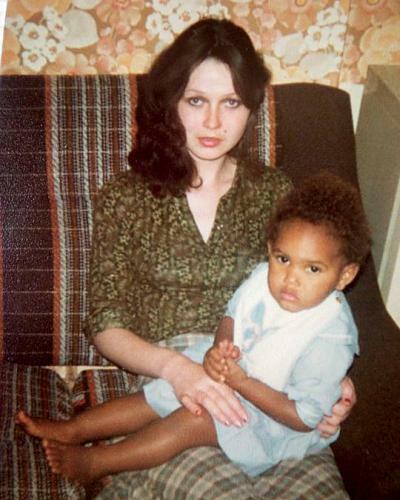 Returning to the UK at around two years old, Adjonyoh lived with her parents in Deptford, in south-east London. She was thrust into a very different life, without the extended family she had grown used to. As she got older, she turned to the “aunties” of Ridley Road market in Dalston for tips, finding a taste of home in London’s Ghanaian community. From her father’s kenkey to hot pepper sauce, food enabled her to connect with the West African side of her heritage. Food was at the heart of both her parents’ cultures: Zoe with her mother Elizabeth. I tell her how jealous I am that she was able to experience a little of Ghanaian culture and cooking first hand. 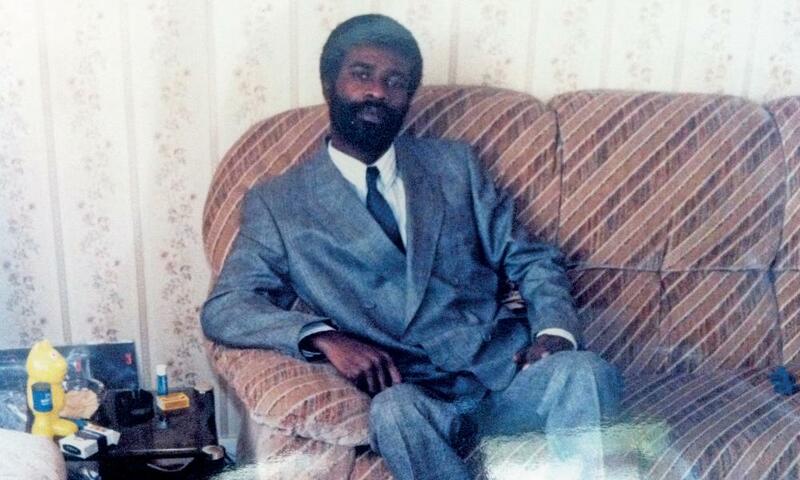 My grandad, Ransford, was from Ghana, but I never heard him talk about his homeland. When my family visited, we would eat roast beef, joints of lamb, pork with potatoes. My grandmother is from London’s East End, and it was all-English meat-and-two-veg cooking that took root in their house. Ransford would sometimes make himself rice, but he would always eat it alone. Move forward a generation and my dad wrote his Ghanaian middle name – Kwame – out of his personal history, flinching whenever my siblings and I would ask about it. It’s only since Ransford’s death that my family has begun to turn back to our Ghanaian roots, and start talking about that part of our history. Zoe’s Ghana Kitchen is just around the corner from where we’re sat, in a cluster of cafes and shops called Pop Brixton. It could only ever really exist in a city such as London: a place so full of contradictions that a Ghanaian restaurant in a stack of shipping containers south of the river seems run of the mill. The restaurant is tiny – a couple of bench tables, a narrow bar counter and the kitchen at the end of the room. Dishes appear on the tables faster than you can eat them – everything from okra fries to red red (a hearty bean stew) and jollof fried chicken. It’s a place that wears its DIY ethos on its sleeve. The cutlery holders are painted in the green, yellow and red stripes of the Ghanaian flag; the slogan “It’s Ghana be tasty!” is emblazoned across the outside. It’s taken years for Adjonyoh to collect and adapt the dishes she sells now. A keen home cook, it wasn’t until 2011 that she began to delve into Ghanaian food in earnest, selling nkatsenkwan, or groundnut soup, out of her home during the Hackney WickED arts festival, as a way to fund her MA in creative writing. It was her MA tutor who suggested that perhaps focusing on Ghana Kitchen might be a way for her to better connect with her past, and eventually write the memoir she’d dreamed of. The soup stall soon became supper clubs, which in turn have led to pop-ups, residencies and an established restaurant. Now, food has taken her back to writing, to a cookbook as much about life, travel and family as it is about cooking. ‘I could watch my dad cook, then cook for him’: Zoe’s father Charles. It’s fitting that Zoe’s Ghana Kitchen should begin to blossom now, at the crest of this wave, and on the 60th anniversary of Ghanaian independence from British rule. Ghanaian food remains a stubbornly foreign concept, despite the fact that until 1957 the Gold Coast, as it was then known, was a British colony. We explored the Mediterranean in the 60s with the help of Elizabeth David, saw the curry house boom of the 70s and today take a taste of Korean, Vietnamese and Hawaiian cuisine. We’re more curious than ever, and yet in spite of our changing tastes, African food has struggled to find a place on our increasingly diverse plates. These include a six-month residency at The Sun and 13 Cantons gastropub in Soho, and Zoe’s Ghana Kitchen going on the road for the summer festival circuit, too, setting up camp at Secret Garden Party and Bestival. She’s proud to be at the helm of a burgeoning movement, but there’s no missing her nervousness about the pressure it entails. Does it up the ante when so much of your identity is woven into the business you run? “When I called this Zoe’s Ghana Kitchen, I knew it was risky. What’s scary is when the criticism comes, it’s personal.” She pauses. “But that’s my problem. Save that for the therapist, right?” Putting her life front and centre in her cooking might have made her more vulnerable to criticism, but it has also been at the heart of her success. It’s a radical openness: the sense that when you cook and eat Adjonyoh’s recipes, you’re tasting not just a cheffy concoction, but a part of her life. This is basically the mother of all salads with everything but the kitchen sink thrown in – a hugely substantial feast of colour, texture and flavour. I’ve come up with a recipe that focuses on fresh ingredients rather than the canned ones commonly used for this salad (canned baked varieties are a favourite in Ghana! ), while sticking to the original formula. Preheat the grill to medium. Place the sardines and tuna steak on the grill rack and grill for 10–15 minutes, turning halfway through the cooking time. Leave to cool, then chill in the fridge before adding to the salad. Place the lettuce, tomatoes and onions in a large bowl, then add the green beans, peas, cannellini beans and smoked salmon. Flake the grilled tuna and add to the salad, season with the sea salt and black pepper and mix together carefully. 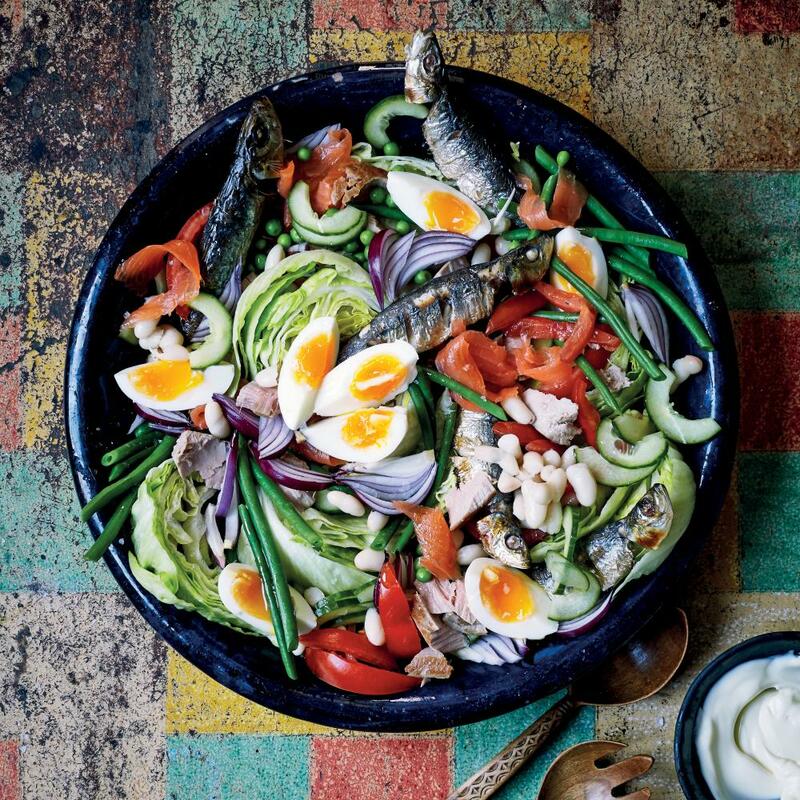 Add the grilled sardines and garnish with the soft-boiled egg quarters. Cover and chill before serving. When ready to serve, dress with salad cream or mayonnaise to taste and serve with warm toasted baguette, ciabatta or hard dough bread. I used to drown my Ghana salad in salad cream – guilty pleasures – but if you want a healthier option, make a vinaigrette of 3 parts olive oil to 1 part balsamic vinegar and season with sea salt and black pepper, then add to the salad before serving. Hard dough bread (also known as “butter bread”) is a white loaf that is slightly sweet. It can be bought sliced or unsliced. 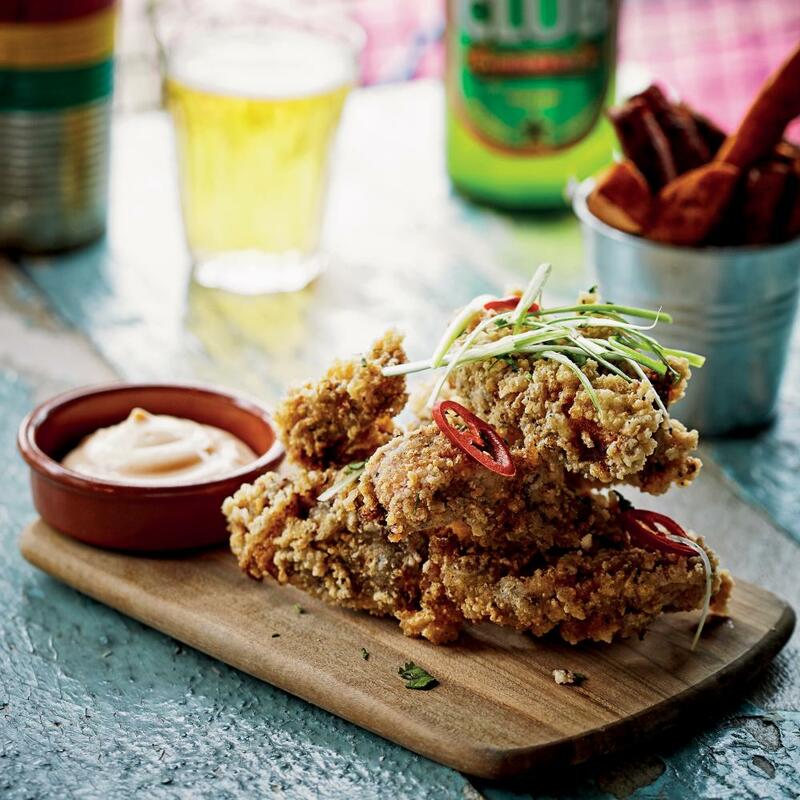 By far the most popular dish on both our street-food and restaurant menus is this super-crispy and succulent fried chicken recipe – I really shouldn’t be giving away the secret! To make the jollof dry spice mix, combine all the ingredients together in a bowl. Store in an airtight container in a cool, dark place and use within a few months. Mix 2 tablespoons of the jollof dry spice mix, the sea salt and black pepper with the rapeseed oil in a large bowl. Add the chicken strips and buttermilk and turn to coat them all over. Cover the bowl with clingfilm and leave to marinate in the fridge for at least 1–2 hours, but preferably overnight. Heat the vegetable oil in a deep-fat fryer (which is the safest option) or heavy-based, deep saucepan filled to just under half the depth of the pan to 180–190C or until a cube of bread browns in 30 seconds. Meanwhile, put the cornflour in a separate bowl with the seasoning and nutmeg and mix well. Dip each chicken strip into the seasoned cornflour to coat evenly – try to do 4 or 5 pieces in quick succession, as you need to drop them into the hot oil straight away. Fry the chicken, in batches, for no more than 3–4 minutes to keep them succulent and juicy yet cooked through, and golden and crispy but not burnt. Remove from the oil and drain on kitchen paper, keeping the cooked chicken hot while you fry the rest. It’s that easy – the best fried chicken you’re ever going to eat!